Interview Questions Which is Probably Asked In ISSB Interviews. 3. Your Rank Among Your siblings. 4. Your Qualification And Marks.Your Age. 5. Your Height . Weight. 6. What do you do Now a days.? 7. Questions Related To Your Academic Qualification. 8. Questions Related To Your Hobbies. 9. Questions Related To Your Task And Performance. 6. Biggest Surah Of Quran. 7. Shortest Surah Of Quran. 10. Battles Jang -e Badar etc Remeber Strength of Muslims In All battles. And their Year. 1. Group Captain is equal to which Rank Of Army. Question Related Your emotions. And Feelings. If you didnt selected then what will you do..?? 1. Pakistan K North. east. West. South mai Konsa Country hah. 3. Nigeria. America. Japan. China. England. Srilanka Capital. 4. Pakistan Highest And Shortest Things. Like Highest Mountain. Shortest Dam. etc. 5. Cm names Of All 5 Provinces of Pakistan. 6. Cm name of kashmir. 7. What is GT Road And Who made it..
3.	woh tumhara kia lagta hah. 4.	mai ne us se aek letter likhwaya. Questions Related To Quick maths. 1. If U got 200.000 Rupees what will u do for Those 200.000 Rupees.? 2. If a Shirt is of 50 and Your Shop is of Your Relative he gave u 15% discount then on what Price will u buy that After 15% discount..? 4. What is 35% of 450.? 5. What is 22% of 90.? 8. If 12 Eggs are of 9 Rupees then 5 Rupees k Kitne hounge..? 9. If Plane is going with 90km/hour Speed then in 35 Mint how mUch distance will it covered..? Questions Related To Your Self Analysis. 4. 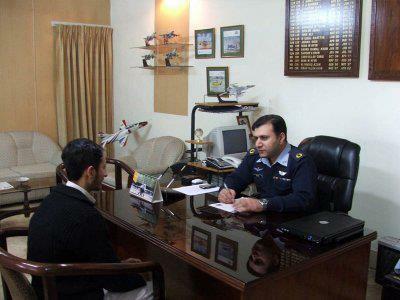 Why Do you Want To Join PAF/Army/Navy..........?? ?